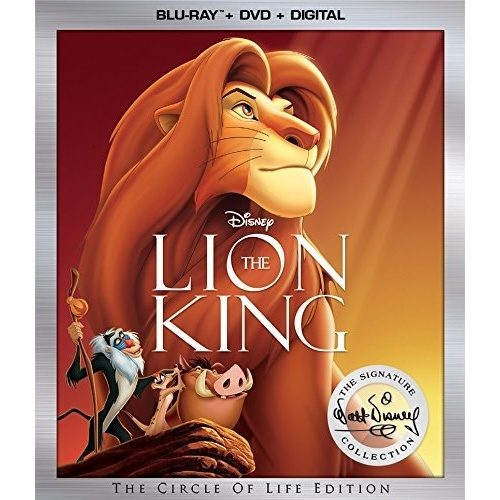 The release week August 29th Blu-ray Cover Art Gallery for 2017 features top title The Lion King from Walt Disney Studios Home Entertainment, in a ‘Circle of Life’ edition. Disney also has The Lion King 1 1/2, along with the animated television release Star Wars Rebels: Complete Season Three. Top title from Paramount Home Entertainment is the new Baywatch movie, along with a 4K Ultra HD release for Baywatch, both with Dolby Atmos audio. Paramount also has re-releases for a number of catalog titles, including The Addams Family, Wayne’s World and American Beauty this week. More from the animated DCU with Batman and Harley Quinn from Warner Home Video, who also have Batman and Harley Quinn with a figurine, and Batman and Harley Quinn on Ultra HD. Warner also has the DC Universe television title Gotham: The Complete Third Season, along with British TV title Ripper Street: Season Five from BBC Home Video. One of my guilty pleasures this week is Steve Martin in The Man with Two Brains, also from Warner through the Warner Archive. Lionsgate Home Entertainment has a television title this week with the Starz series Black Sails: The Complete Fourth Season. Indie titles include a special release for Ronin from Arrow Video, Prizzi’s Honor and Son of Paleface from Kino Lorber Incorporated, the complete series (in standard definition) The Wonderful Wizard of Oz from Discotek Media, and French film Heal the Living from Cohen Media Group. 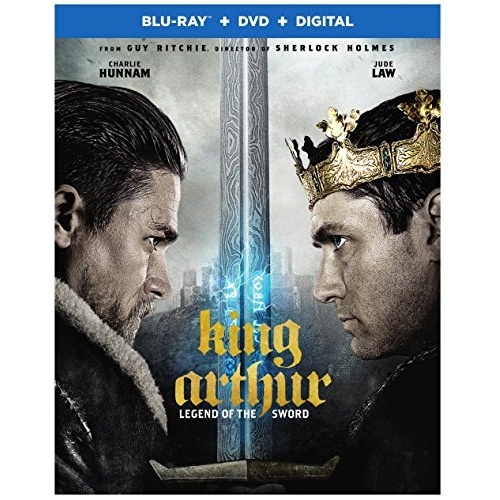 The release week August 8th Blu-ray Cover Art Gallery for 2017 features top title King Arthur: Legend of the Sword from Warner Home Video. 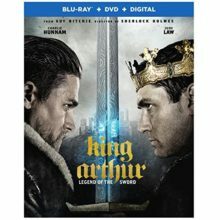 King Arthur: Legend of the Sword is also available as a 4K Ultra HD release from Warner, with both versions featuring Dolby Atmos audio. Fox Home Entertainment has Amy Schumer in Snatched this week, along with a 4K release for Snatched and the latest Diary of a Wimpy Kid: The Long Haul movie. Lionsgate Home Entertainment releases this week include The Exception. Indie releases include new Collector’s Editions of Re-Animator from Arrow Video and Fargo from Shout! Factory, as well as The Breaking Point from Criterion Collection. 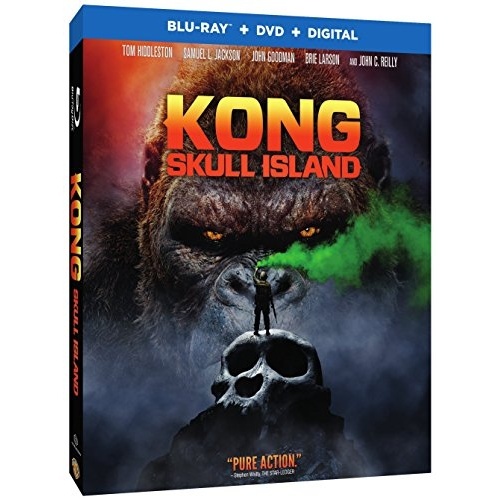 The release week July 18th Blu-ray Cover Art Gallery for 2017 features top title Kong: Skull Island from Warner Home Video. 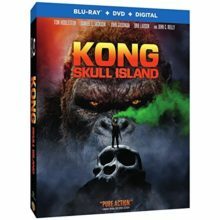 There is also a Blu-ray 3D Kong: Skull Island release and 4K Ultra HD Kong: Skull Island release, all with Dolby Atmos audio. Warner also has the television title The 100: The Complete Fourth Season from Warner Archive Collection. Sony Pictures Home Entertainment has Resident Evil: Vendetta this week, along with Resident Evil: Vendetta on Ultra HD with Dolby Vision and Dolby Atmos. Other television titles this week include The Expanse: Season Two from Universal Studios Home Entertainment and Grantchester: The Complete Third Season from PBS Home Video. Foreign titles include the Russian film Stalker from the Criterion Collection. The release week July 11th Blu-ray Cover Art Gallery for 2017 features top title The Fate of the Furious from Universal Studios Home Entertainment. 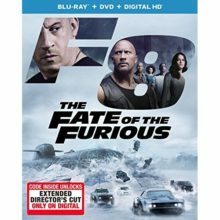 Universal also has The Fate of the Furious on 4K Ultra HD with Dolby Vision HDR – both versions feature DTS:X audio. Also watch for Peter Jackson’s King Kong on Ultra HD, with DTS:X on a triple layer 100GB disc, and an anniversary Blu-ray release for Smokey and the Bandit from Universal. Sony Pictures Home Entertainment has the animated family title Smurfs: The Lost Village this week, with only the 4K Ultra HD version of Smurfs: The Lost Village featuring Dolby Atmos audio. Sony also has Luc Besson’s The Fifth Element on Ultra HD this week. Indie titles this week include The Lost City of Z from Broad Green Pictures, A Quiet Passion from Music Box Films Home Entertainment, and The Man from Planet X from Shout! Factory. Meanwhile the Criterion Collection is releasing the French movie L’argent and the Italian Roberto Rossellini’s War Trilogy on Blu-ray this week. 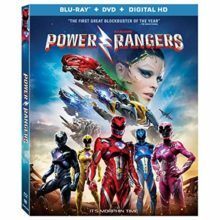 The release week June 27th Blu-ray Cover Art Gallery for 2017 features top title Power Rangers from Lionsgate Home Entertainment. The 4K Ultra HD edition for Power Rangers is one of the first to feature Dolby Vision HDR along with Dolby Atmos audio. Sony Pictures Home Entertainment is releasing the sequel T2 Trainspotting on Blu-ray this week, as well as an Ultra HD release for T2 Trainspotting, with Dolby Atmos only on the 4K version. Watch for the R rated comedy title CHIPS from Warner Home Video, who are also releasing the 80’s movie Running on Empty through the Warner Archive Collection. Fox Home Entertainment has the television title Prison Break: Event Series, along with the Prison Break: Collectors Set. Indie horror titles include The Autopsy of Jane Doe from Shout! Factory and Death Line from Blue Underground. The Criterion Collection is releasing Sam Peckinpah’s Straw Dogs this week, along with the early Hitchcock film The Lodger: A Story of the London Fog. Fans of 70’s TV will like James Garner in The Rockford Files: The Complete Series from Mill Creek Entertainment. 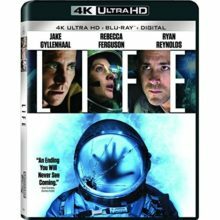 The release week June 20th Blu-ray Cover Art Gallery for 2017 features top title Life from Sony Pictures Home Entertainment. 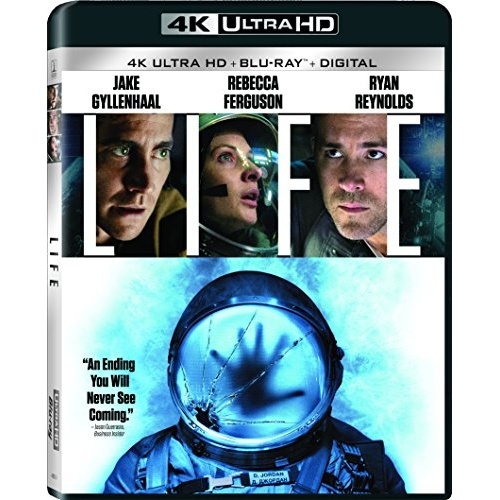 Sony also has a 4K Ultra HD release for Life that features a Dolby Atmos audio soundtrack. The Warner Archive Collection continues to dig into the catalog titles with Tom Hanks in Joe Versus the Volcano. Other catalog titles this week include the Sci-Fi hit The Lawnmower Man and 70’s movie Car Wash from Shout! Factory. Foreign titles include French films The Marseille Trilogy from the Criterion Collection and Railroad Tigers from Well Go USA. 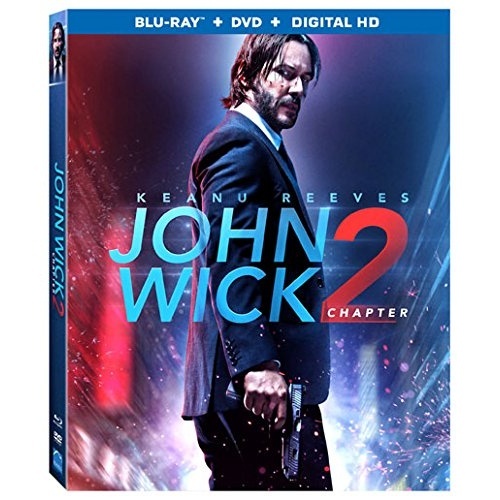 The release week June 13th Blu-ray Cover Art Gallery for 2017 features top title John Wick: Chapter 2 from Lionsgate Home Entertainment. 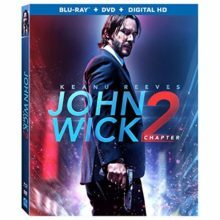 Lionsgate also has a 4K Ultra HD release for John Wick: Chapter 2, with both versions featuring Dolby Atmos audio. Also watch for the television title Power: The Complete Third Season from Lionsgate Home Entertainment this week. Warner Home Video has the popular animated title The Lego Batman Movie on Blu-ray Disc this week. There is also a 3D edition for The Lego Batman Movie and a 4K Ultra HD edition of The Lego Batman Movie from Warner Home Video. Oddly the 3D has DTS-HD Master Audio, while the other two feature Dolby Atmos. Warner also has the guily pleasure The Gumball Rally this week from the Warner Archive Collection, and the television release The Vampire Diaries: The Complete Series. Speaking of television titles, watch for Grimm: Season Six from Universal Studios Home Entertainment, and South Park: The Complete Twentieth Season from Paramount Home Entertainment. Fox Home Entertainment is releasing 4K Ultra HD editions of Rise of the Planet of the Apes and Dawn of the Planet of the Apes this week. Indie releases include Noir film They Live by Night from the Criterion Collection, Cheech and Chong’s Next Movie from Shout! Factory, and The Son of Joseph from Kino Lorber Incorporated. 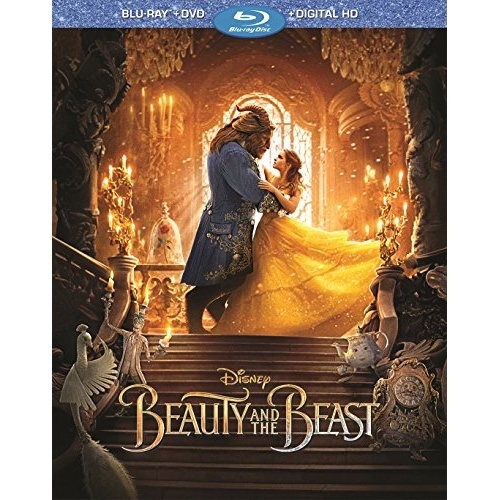 The release week June 6th Blu-ray Cover Art Gallery for 2017 features top title Beauty and the Beast from Walt Disney Studios Home Entertainment. Disney also has a new Signature Edition for their animated title Bambi. Paramount Home Entertainment has the movie Juice on Blu-ray for its 25th anniversary. They also have 10th Anniversary packaging for their Transformers movies, including Transformers: Age of Extinction, Transformers: Dark of the Moon, and Transformers: Revenge of the Fallen. Lionsgate Home Entertainment has 4K Ultra HD releases for Dredd, Ex Machina and Snitch, all featuring a Dolby Atmos or DTS:X audio track. Warner has television release Doctor Who: Series Ten – Part One from BBC Home Video, The Ballad of Cable Hogue from the Warner Archive Collection and The Young Pope from HBO Home Video on Blu-ray this week. Universal Studios Home Entertainment has Truffaut’s Fahrenheit 451 on Blu-ray this week, as well as 4K Ultra HD releases for Despicable Me and Despicable Me 2, which are the first titles to feature Dolby Vision. Oddly though they feature DTS:X audio. Fox Home Entertainment has A United Kingdom this week, and Anime fans will want to check out Fairy Tail: Collection Eight from FUNimation Productions. Other indie titles include Ugetsu from Criterion Collection, Operation Mekong from Well Go USA, and Gloria Swanson’s 1923 movie ZaZa from Kino Lorber Incorporated. The release week May 23rd Blu-ray Cover Art Gallery for 2017 features top title Logan from Fox Home Entertainment. 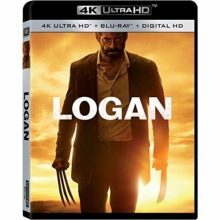 Logan is also available from Fox in 4K Ultra HD with HDR and Dolby Atmos audio. Universal Studios Home Entertainment has the Matt Damon movie The Great Wall this week, along with an Ultra HD edition of The Great Wall and Jordan Peele’s movie Get Out. Universal also has the stop motion animated title My Life as a Zucchini on Blu-ray this week. Watch for television title Call the Midwife: Season Six from BBC Home Video. Indie titles include Dheepan from the Criterion Collection and the documentary I am Heath Ledger from Virgil Films and Entertainment. 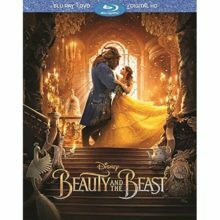 The release week May 9th Blu-ray Cover Art Gallery for 2017 features top title Fifty Shades Darker from Universal Studios Home Entertainment. Fifty Shades Darker is also available as a 4K Ultra HD release, along with a 4K edition for Fifty Shades of Grey and a two pack Fifty Shades: 2-Movie Collection, with all 4K versions featuring DTS:X audio mixes. Otherwise is it a bit of a quiet week, with releases including the popular Netflix series Orange is the New Black: Season Four from Lionsgate Home Entertainment. Paramount Home Entertainment has re-releases, including Chinatown and 45th anniversary releases for The Godfather trilogy. The Warner Archive Collection has William Hurt in The Accidental Tourist, and Fox Home Entertainment has re-releases for Michael Mann’s Heat and Rise of the Planet of the Apes. Indie titles include Serial Mom from Shout! Factory, Belgian movie Jeanne Dielman, 23, quai du Commerce, 1080 Bruxelles from the Criterion Collection, and French film Things to Come from MPI Home Video.